Organizations do not need guns and terror when they control the supply of food. Only 10 companies control almost every large food and beverage brand in the world. These companies: Nestlé, Pepsi-Co, Coca-Cola, Unilever, Danone, General Mills, Kellogg’s, Mars, Associated British Foods, and Mondelez — each employ thousands and make billions of dollars in revenue every year. According to an article at www.businessinsider.com (1) these companies often put profits before the health of consumers, society and the environment. The Business insider article tells how Oxfam, an international confederation of 20 ngos working with partners in over 90 countries to end the injustices that cause poverty, is trying to do something about this huge problem. The article says: In an effort to push these companies to make positive changes — and for customers to realize who controls the brands they’re buying — Oxfam created a mind-boggling infographic that shows how interconnected consumer brands really are. Sadly, the problem is rooted in distortions and deceits that go far beyond these ten companies. The link between these food giants and global chemical complexes are deep enough to create real concern. Here is just one tiny example. The Coca-Cola company is a giant with annual revenues in the $50 billion a year range. They have moved far beyond soda, with beverage brands including Dasani, Fuze, and Honest Tea. Two Coca-Cola brands are Minute Maid and Simply Orange Juice. Minute Maid has been around for more than 60 years. The Simply Orange Juice Company, near our Florida home, in Apopka, was founded in 2001. Simple, natural orange juice. What could be healthier? That’s the way Simply Orange ads make it look. A look beyond the ads shows that the process is not so simple nor is it natural at all. Here is an example of how this food company (Coca-Cola) and the chemical company Bayer (Monsanto) are connected. A Coca-Cola Company website has a news release that says “Coca-Cola supporting research partnership to combat citrus greening” (2). The Coca-Cola Company is funding a newly announced collaborative research partnership between Bayer and the Citrus Research and Development Foundation (CRDF), a nonprofit organization in Florida supporting citrus growers, to find solutions to this disease as it continues to threaten the global citrus production and juice industry. The Citrus Research and Development Foundation has a great name but research into this organization reveals that it is connected to Bayer. The same Coca-Cola news release says. Bayer will provide access to its disease control expertise and coordinate public and private research to find novel solutions for Citrus Greening in Florida and beyond. Research will focus on identifying biological disease control solutions or molecules that modulate the plants’ innate immune defense system. Any potential treatment resulting from the multi-year research project would be further developed and commercialized by Bayer. If we look deeper, we see the Citrus Research and Development Foundation (CRDF) is connected to the University of Florida and from there a relationship with Florida Organic Growers (FOG). That’s another great sounding name Florida Organic Growers but FOG’s aim is to create food safety standards based on the United Fresh Harmonized GAP Standards. FOG developed a comprehensive auditor checklist based on independent verification with the research labs of Bayer, Syngenta and Valent (three big chemical concerns). Taking the links one step further, the fruits were test marketed by Publix supermarkets in conjunction with a focus group consisting of these big chem firms. This simple, natural food, has chemical company involvement starting at the university level (research on molecules in the fruit) to the grower to the government safety regulations to the supermarket. This is a perfect example of vertical integration that controls every aspect of the production, processing and distribution of food. 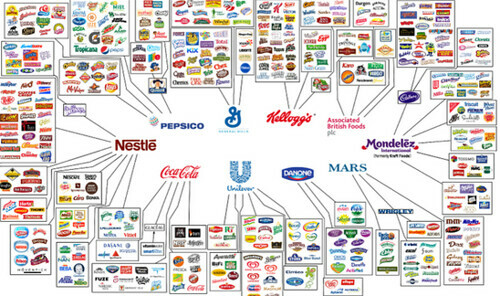 Only 10 companies control almost every large food and beverage brand in the world. All of them are deeply connected to chemical companies. That’s why we go local and grow our own food as much as we can. A huge economic struggle is taking place. If that struggle is lost what’s left of our privacy, the safety of our food supply, the control over our health, the safety of our money and even the sanctity of our opinions and thoughts could be lost. Markets and social order can collapse at any time. Schools are not safe from shooters on the rampage. Streets are in danger of terrorists ramming their cars into riders on bikes. We are no longer safe… in shopping centers, at festivals, even in the church. Yet the bigger danger grows. This struggle is taking place, right now. You can read about tiny parts of this conflict daily in the news. Most of the clash however is hidden from view. There are horrible consequences hidden beneath the visible spin. There is an association forming that can ruin our health care, nutrition and the environment. This group an control what you read on the internet, see all the words in our phone calls, watch what we see on TV and slant the trends we learn about in social media. Everything you write or say can be recorded and used to control what you hear and read. The warning shot, above the surface, was the merger between Bayer and Monsanto. Bayer and Monsanto each have each developed poisons that are harsh on our ecosystem. The merger of the two firms should have been stopped to ensure human and planetary survival. But these massive companies have invested so much into lobbying and financing political campaigns that they have the ability to shape political systems to their own end. Scientific studies found that neonicotinoid pesticides made by Bayer have almost eradicated some bird populations and flying insects. These pesticides, along with Monsanto’s toxic herbicide Roundup, have delivered a one-two punch against butterflies, honeybees and birds. Roundup has also been linked to over 40 human diseases, including cancer. But both the US and the European Union approved the $66 billion merger of Bayer and Monsanto. This union not only increases the potential of adding toxic poison to the environment but also gives this giant form control over genetically modified (GMO) seeds that have reduced seed diversity globally. This union is horrible enough, yet it’s only the tip of the iceberg. Seven companies are involved in a more sinister plot. The momentum of this dangerous alliance has picked up faster than anticipated. I began researching and preparing a report “Learn Anywhere, Earn Everywhere” when the Bayer-Monsanto merger was the big deal. They were two of the seven firms involved in this almost invisible take-over of our food and medical services as well as the internet, cell phones and TV. I started researching when I saw the hidden depths of this Bayer-Monsanto merger. I was truly concerned and shocked because my research discovered that the consolidation of Bayer and Monsanto is not the biggest merger nor the most dangerous by far. I miscalculated how much time we have. I went to work on the report right away, taking my time to delve deeply, but even before I have finished the report, events have begun to heat up. The pace of this hidden unification has increased. Now another merger is taking place, far more destructive and the alliance has an incredible lobby program working to make sure that the deal goes through. A triad of three huge concerns and four smaller ones with hundreds of billions of dollars have built one of the most formidable lobbying operations in Washington. Nearly 100 registered lobbyists are already on retainer and they include former members of Congress. One company in this heptagon is also the largest donor to federal lawmakers. The donations we know of equal more than $11 million paid to 374 of the House’s 435 members and 85 of the Senate’s 100 members in this election cycle. This deadly seven point affiliation is likely to snake into almost every part of our livelihood. One part of the cartel will increase our dependence on modified food that can purposely increase our needs for pharmaceuticals manufactured and sold at outrageous prices by another arm of the group. The organizations will know more about us than any other group in existence. They will (in fact they already are) act as spies for the government. This amalgamation will control what ads we see, the products we buy, listen into our phone calls and even monitor and influence what we see on TV. Sadly most of the public will not even know that this fusion has taken place. Life will appear to go on as normal. They won’t even see the change as what’s left of their good life which could be drained away by corporate malfeasance. This is why I am rushing a report to you so you can be one of the few who avoid the ruin of this alliance and gain rather than lose from the shift. The report “Live Anywhere – Earn Everywhere” contains seven steps we can take to gain benefits and protection from this cartel. Here is some background. At the beginning of the 20th century, Carl Duisberg, the head of Bayer, created a profit sharing cartel from three firms BASF, Bayer and Agfa, called the Dreibund (Triple Alliance) or little IG. This German chemical association dominated commerce everywhere under the name of IG Farben, the largest company in Europe, the 4th largest anywhere and the largest chemical company in the world. Because “Power Corrupts” this company morphed into something truly evil before and during the Second World War. After WWII IG Farben was considered so morally corrupt it could not be allowed to continue to exist and was split into its original constituent companies. Today Agfa, BASF, Sanofi and Bayer (now expanded) remain. This is where facts become truly scary. Some of these very same companies have merged with other mega concerns to create a new American Dreibund (a Triple Alliance dominating the USA). This new cartel has such power it can take control of your food, your medicine and even influence, if not control, what you read and the information you access for health and wealth. Even worse, they can monitor everything you do and give it to others in government and business as well. From a political point of view we cannot do much about this alliance. The cartel has hundreds of billions of dollars and hundreds of lobbyists. They are making their big move right now, to take advantage of the current political distraction. They know that after an election politicians are willing to accept bad news because it will be forgotten in four years. In addition their greatest enemy in the government has only a couple of months left as the head of the Federal agency that will fight this cartel. Only a few people will know how to take advantage of the shifts created from the results of this alliance. The sooner we act, the greater the benefits. This is why I want to rush my newest report “Live Anywhere-Earn Everywhere” to you. This report shares how to protect what you have from this coalition that is taking over mainstream media, our food supply as well as our medical history, health care and communications. Fortunately a loophole can set you free. You can protect what you have and actually improve your situation, a lot. Merri and I have already jumped though the loophole and want to share why and how you should too. How to Gain Extra Freedom – While Almost Everyone Loses Theirs. Become a Pruppie! May I coin a new word, Pruppie? We all know about preppers. They believe that the world, as we know it, is about to end. And we also know about Uppies, upward professionals as in Yuppies, young upward professionals. Uppies expect their world to get better. The reality is that our worlds have changed and for most of us, there is still great opportunity for a better lifestyle, yet the preppies could be right. I invite you to join Merri and me as Pruppies, those who expect the world to get better and live and earn based on that expectation but enjoy a progressive lifestyle of freedom that also happens to prepare us for bad times as well as good. Just in case… the world goes sideways… we will still survive and prosper anyway. We do not give up anything much. We can enjoy the good parts of the new economy, as we protect ourselves from what can be bad. For example in this report, you’ll see how to make your dining room table bring you more control, more time, more income and more freedom. 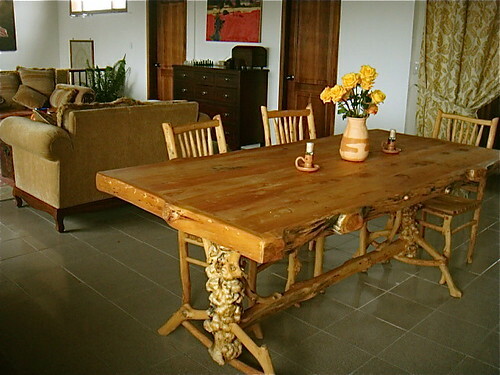 After all, what can be more accessible than a dining room table? You’ll even learn how to turn dining room tables into income and tax deductions as we have with these dining room tables we build out of local wood. Let me be clear. I expect that the world will get better, at least for the few who adapt and avoid the dangers the American Dreibund has planned for the public. The wealth of the world, albeit with inequality, has continued to grow. There is an incredible new economy that’s opening for those who know what to do. There are great new opportunities and many of them offer enormous income potential and they even work well in disaster scenarios. Let me provide one simple, concrete example. Ginseng. This is a great health root. The demand is growing especially in China. At times good dried Ginseng sells for $1,000 a pound! This is an incredible and easy crop to grow. The less care you give it, the more valuable it can become. Yet if everything goes south, the health qualities will be good to have and make it an excellent barter item. 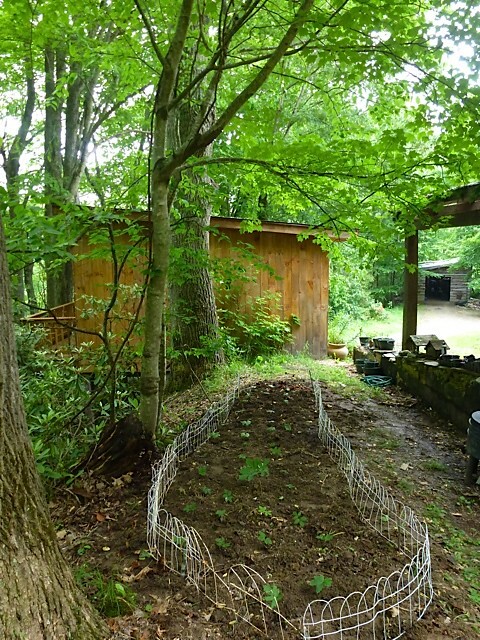 Once you know what to do with ginseng, it’s easy to grow in your back yard. Even better one of the best kept secrets is that ginseng and 125 other medicinal crops that are currently unsustainable but can be grown on land that is extraordinarily cheap. Ginseng growing in our back yard. I know about growing ginseng through experience and explain why and how in the report. There are are specific places that reduce your living expenses, easily increase your income, make you smarter, healthier and provide tax benefits as well. Learn about these specific places. More important learn what makes these places special and seven freedom producing steps that you can use to find other similar spots of opportunity. The report includes a tax and career plan broken into four age groups, before you finish school, from age 25 to 50 – age 50-to 65 and what to do when you reach the age where tradition wants you to re-tire. (Another clue-you do not need to retire and probably should not). The report is very specific because it is about what Merri and I, our children and even my sister and thousands of our readers have done and are doing. Live Anywhere – Earn Everywhere focuses on a system that takes advantage of living in Smalltown USA, but earning globally. Learn about the magic of the north facing slope. This is where Merri and I live almost half of our time. North facing mountain land is some of the least expensive in the world but has hidden values that the report reveals. There is a lot of this land and a lot of hidden value that you can tap. When we bought our Blue Ridge farm (252 acres) I mentioned this to my Swiss banking friend. “That’s bigger than the entire village where I live!” was his response. Smalltown USA offers a last chance at having a lot of space. By living in two Smalltown places there are enormous tax advantages as well. One step in the system saves Merri and me over $28,345 in taxes a year. The report shows how to buy cheap north facing slopes and create an income producing tiny home for $29,000 or less. 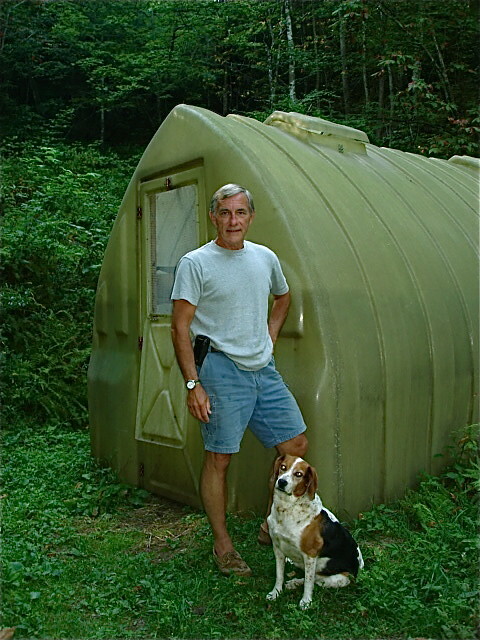 If you lack the $29,000 to invest, a start up using tents is even less. 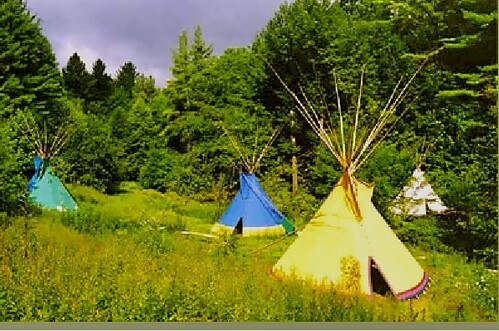 These are tipis we put up at our farm before we built our first tiny home. Learn how they can create tens of thousands of dollars in income for you. See ways that small businesses like Tipi rentals can create BIG tax savings as well as extra income. For more than 30 years Merri and I have enjoyed a strong six figure income, some years more, in the millions. Yet there have been very few years when we had to pay federal income tax. The report lays out a three structure program and how it is used when you are in school (up to age 30), then from 25 to 50, 50 to 70 and beyond 70. Learn why Chapter C corporations and pensions can be better than the normally recommended Chapter S. See how new mileage log rules gives you a possible opportunity to increase your tax deductions using IRS Form 4562. Using a two-vehicle strategy you can gain $12,976 in new deductions even if you do not have to drive one mile further or spend one additional penny on your car. 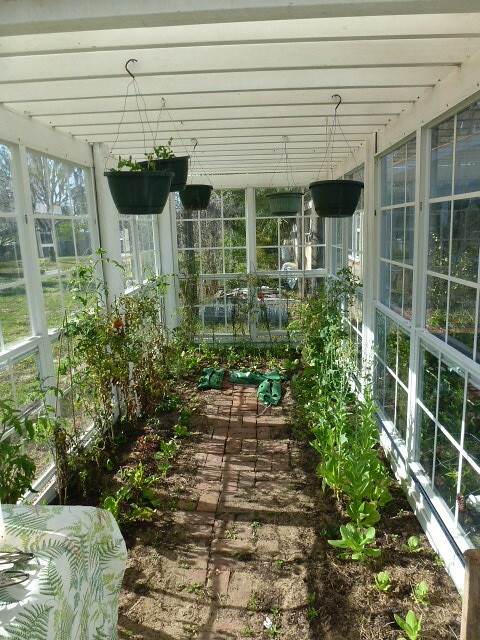 See how a greenhouse can help you eat better and be healthier, plus provide income and a tax deduction and be funded by a government grant. There are similar benefits from having a second home office defined in IRS publication 463 and IRS publication 587, even if your desk is a dining room table. The report also shows how your dining room table can become an actual income producer as its creates a huge tax deduction at the same time, not to mention a great place to eat, work and lay out plans for a brighter, safer more lucrative and enjoyable future. Living in this environment is also healthier, economically as well as physically. You’ll see in the report how researchers at Harvard found an amazing correlation between living in conditions found on north facing slopes, longevity and mental health. The researchers were quite surprised by this strong correlation that also extended into mental health. In addition to feeling better, reducing stress and having more Joie de Vivre the places outlined in “Live Anywhere-Earn Everywhere” can help you avoid hospitals, high cost disease management (aka health care) and BIG pharma while providing an investment opportunity in three plants that have some of the fastest growing demand in natural health care. These three plants are just one of seven business opportunities that can create multiple streams of income. How changes in cell phone and internet technology eliminated the need to be in one place. An old law that creates new opportunity for small business in small towns is available to everyone. Use the specific search and purchase guide. Construction plans are included that show how to generate first tier income that leads to five, second tier avenues of earnings. How to pay off old debt and avoid new debt by avoiding spurts and embracing value. Learn seven skills that will always have value. See how to turn First Aid, medicinal plants, hospitality, food, trees, alternate energy and writing to sell into everlasting, low stress wealth. 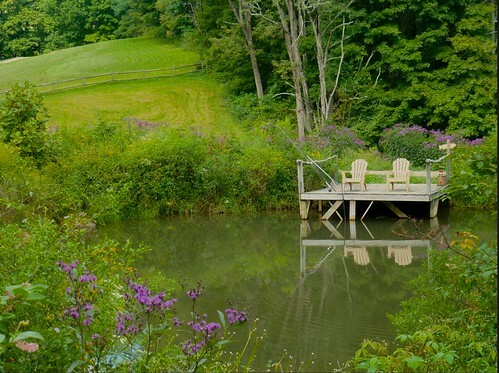 This pond at our farm is a pleasure but also helps create a safe, healthy food supply and creates a tax deduction as well. This may be the most important report I have written in 50 years. The information is certainly the most urgent. Do not delay. The risks are upon us right now and you’ll understand how the final steps of the alliance are taking place as you read the current news. To take any risk out of gaining this urgent information with my full satisfaction or money back guarantee. If you are not totally happy, simply let me know. I guarantee you can ask for a full refund any time within 60 days and I’ll refund your payment in full, no questions asked. You can keep the reports as my thanks for ordering it.